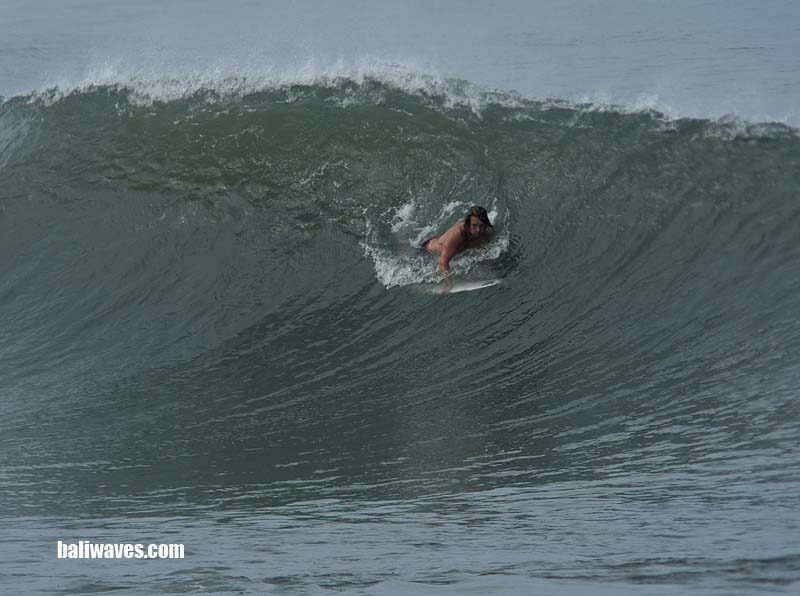 Hello people and welcome back to the baliwaves (your eye’s on Bali’s surfing scene since right back in 1999) for our latest news and best possible views on surfing and weather conditions here on the island of the Gods, and the No.1 tropical surfing holiday destination and gateway to Indonesia’s surfing paradise, Bali. Ok well this mornings surf check on the Outer Reefs (Twitter) at the time we checked was only showing 2-3ft waves breaking between Kuta Reef and Airport Left. But as the tide started filling in so did that little bump in size I mentioned in yesterdays report. By the time Ketut made the run up to Canggu (ENE wind) wave height was pushing the head to double head high plus range on all 3 sections. 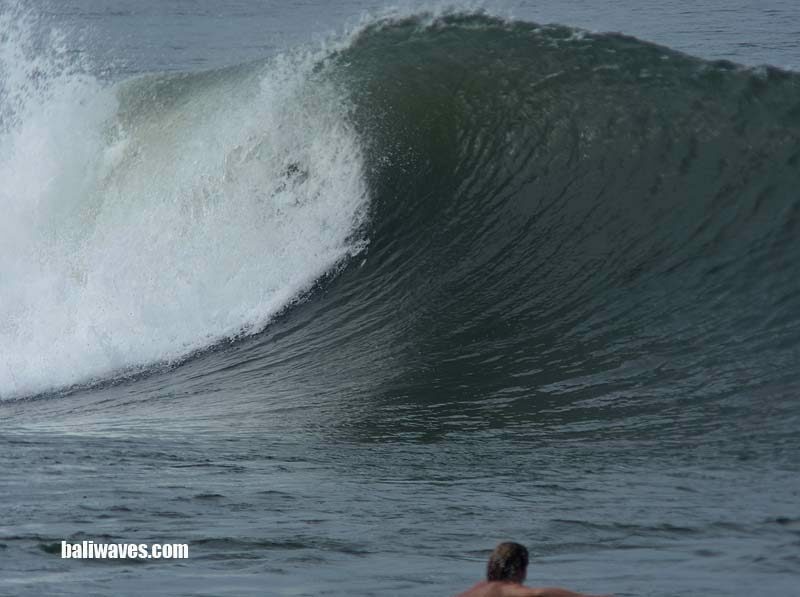 There was a little too much water moving on the Sandbar but the river mouth and “Echo” reef were cranking. Surfing conditions stayed clean and tidy through until around 10.30AM when the wind started shifting to the South Western quadrant. 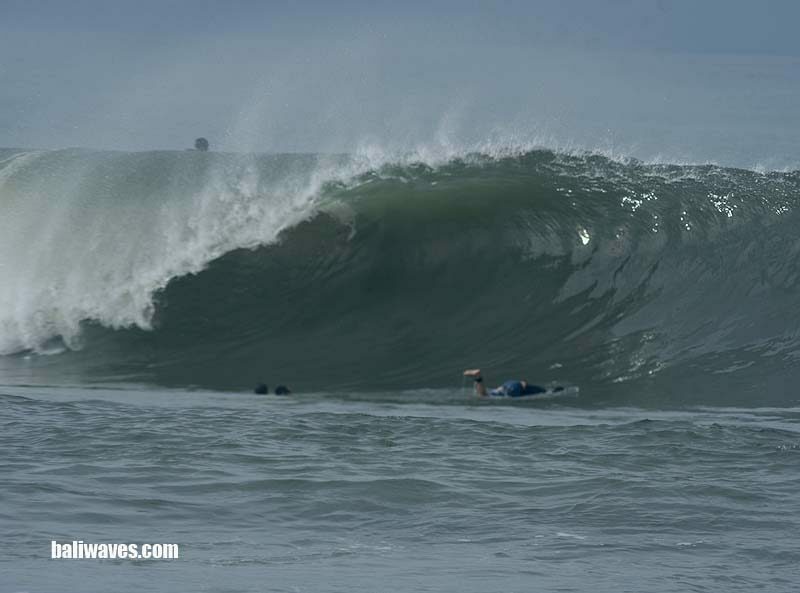 Reports in from over on the East Coast were calling 4-6ft waves breaking in the Keramas area and probably bigger down towards Nusa Dua and Greenies. Weather wise it’s been mostly cloudy and even a few mid afternoon showers here in the South Kuta area. Wind direction is currently coming virtually straight out of the South. Tomorrows forecast is showing pretty much the same swell and direction as today. So if you scored good waves today head back there tomorrow. Wind should be light early before switching to WSW-SW mid morning. (5th April) Further out our nice little run of ESE-SE wind might come to an end for a little while with not 1 but 2 TC’s forming up back to back off the North West coast of Australia. The first of which should come into play around Sunday the 7th bringing more W-WSW wind, before spinning off out into the Indian Ocean. The second if forecasts stay true will come into play bringing more WSW-W wind to Bali on the 11th-12th with more bad wind over the following 2-3 days. Have to wait and see how the swell will be I guess.